Poor boy long ways from home. I was down in Louisiana, Doing as I please. I got to work or leave. What you doing over here? And I sure don’t care. If the boat don’t never land. As long as any man. And I sure don’t like land. The rediscovery of bluesman Jesse “Babyface” Thomas in the 70′s was the equivalent of a blues archivist’s two-for-one sale. It turned out that the mysterious and up-til-then totally obscure ’20s recording artist known as Rambling Thomas was the brother of Jesse Thomas, and the latter man was able to spill the beans on just who the rambling man with the fascinating guitar style really was. 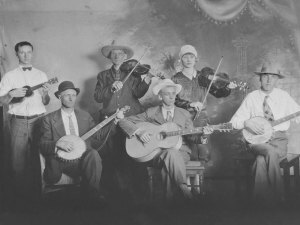 The Thomas clan, which also included the guitar picking older brother Joe L. Thomas, were sons of an old-time fiddler and were raised in Louisiana close to the Texas border. The boys got into playing guitar after looking with admiration at various models in a Sears catalog. 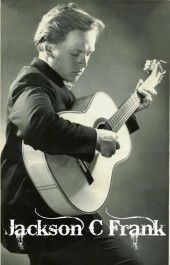 Jesse Thomas has recalled that the mail-order guitar purchased by his brother, Willard “Rambling” Thomas, came equipped with a metal bar for playing slide; indicating the tremendous popularity of country blues at the time or the possibility that someone at Sears knew the guitar was headed into the arms of a Southern bluesman. Thomas rambled, indeed he did. 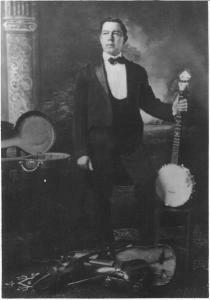 He was discovered by recording scouts playing in Dallas, but prior to that had performed in San Antonio and Oklahoma. His style also seemed influenced by the double threat of blues guitarist and pianist Lonnie Johnson, suggesting a possible St. Louis sojourn as well. Thomas played quite a bit in the key of E, making him harmonically quite a typical Delta bluesman. His picking style is curious, however, and even more interesting is his timing. His rhythmic variations suggest that his nickname might have been handed out by a musician attempting to accompany him, and not just relate to his geographical roaming. 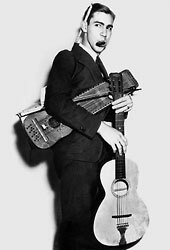 On some of his recordings for Paramount and Victor, such as “Ground Hog Blues,” he plays it a little straighter, going for an imitation of then current hitmaker Tampa Red. The Document label is among several blues record companies that have released collections of Thomas’ material, usually in the form of either a compilation or a collection of several artists; since Thomas was apparently too busy rambling to record a full album’s worth of material. Thomas reportedly died of tuberculosis in Memphis, circa 1945. “Poor Boy Blues” is one of those Blues songs/lyrics that are so popular that most Blues players seemed to have a version of it. The poor boy, long ways from home, was more often than not, the rambling Blues musician himself. It was usually a piece played on the guitar out of an open-tuning called Vestapol (open D) and using a slide or bottleneck to play the melody on the high strings. I’ve selected a few versions that I love, mostly from black Blues players but the Kentucky banjo player Buell Kazee and the ”American Primitive” guitar player John Fahey make an apparition as well. with Sleepy John Estes on guitar, Yank Rachell on vocal and mandolin and Jab Jones on piano. You have parked your wagon wrong. Lord, you have parked your wagon wrong. When I was a long long way from home. And she know darn well that’s wrong. Lord, she know darn well that’s wrong. You never hear me any more. Lord, hear me any more. When I walked up on your porch. Well I’ll sing this song. Jim ain’t gon’ sing no more. Lord, ain’t gon’ sing no more. The unique and exciting sound of “Expressman Blues”, with its mandolin/piano/guitar combo and plaintive vocals is the result of the meeting of three great Tennessee Blues musicians, “Sleepy” John Estes, Yank Rachell and Jab Jones (called themselves the “Three J’s”). 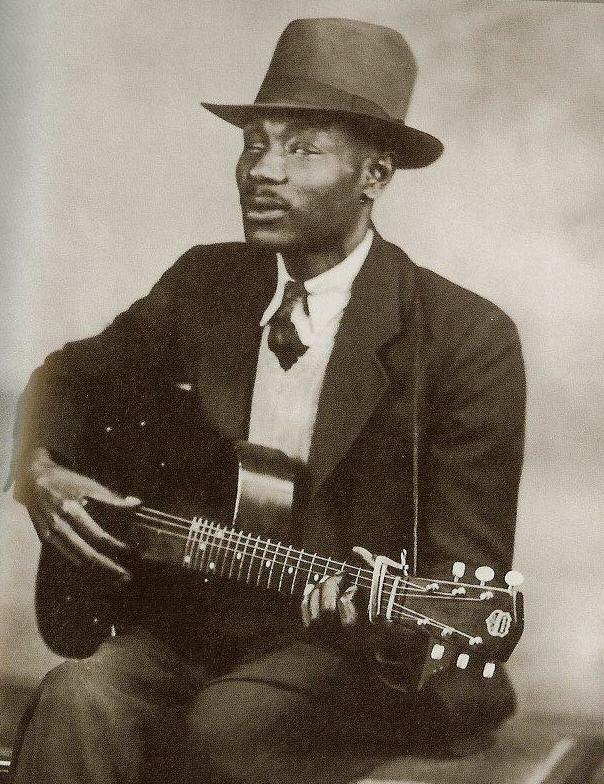 John Estes had a long career as a Blues guitarist and singer, starting at the end of the 1920′s and kept on playing and performing until his death in 1977. (Full bio here). 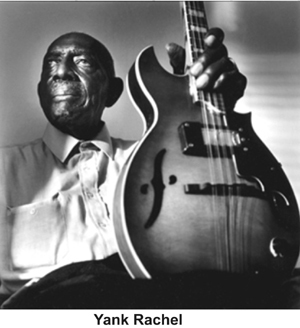 Yank Rachell (1910-1997) was one of the greatest mandolin Blues player and, like his friend John Estes, with whom he recorded a lot, had one of the longest career in the Blues world. (Go and read more on this tribute page). He was the singer on “Expressman Blues”. 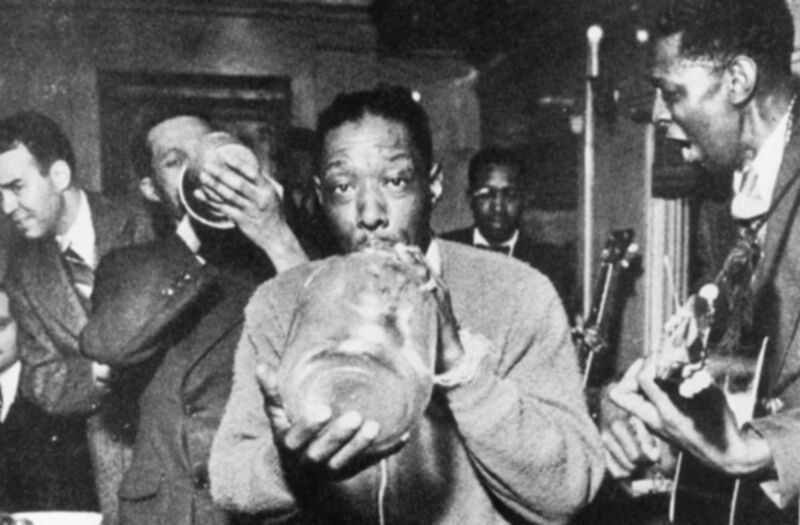 Jab Jones, piano and jug player for the Memphis Jug Band, played piano with them for a few recording sessions in 1929 and 1930. -”Illustred Discographies” of “Sleepy” John Estes and Yank Rachell. There are three tracks from Blind Lemon Jefferson on the third volume of the Anthology and this is the first one. He was a very popular recording artist during his time and his success launched the standard of the male Blues singer with guitar. 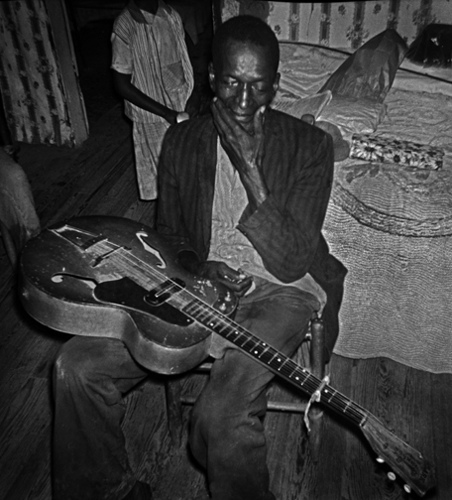 The blind Texas street singer remains a mythic and influential figure of the Blues, even if his style was so unique that it was rarely imitated by others during his time. With his high and expressive voice, his creative guitar style, full of licks up and down the neck, his music is one the most lyrical ever recorded in the Blues idiom. His recorded repertoire (I believe he had a much broader repertoire as a street singer than what was recorded) is made up of many Blues songs of his own creation, full of striking and poetic images, (Go here to read the lyrics of his songs), some more ragtime pieces and a few religious songs (recorded under the pseudonym of Deacon L.J. Bates). 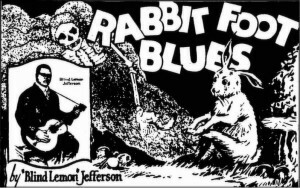 Blues jumped a rabbit, run him one solid mile. That rabbit sat down, cried like a natural child. Well, it seem like you hungry. Honey, come and lunch with me. Seem like you hungry. Honey, come and lunch with me. I wanna stop these nice looking women from worrying me. I have Uneeda biscuits, gal, and a half a pint of gin. Uneeda biscuits, gal, and a half a pint of gin. The gin is mighty fine, but them biscuits are a little too thin. Baby, tell me something about the meatless and wheatless days. This not being my home, I don’t think that I should stay. I cried for flour and meat, I declare, it was strong. Well, I cried for flour and meat, I declare, it was strong. Keep a feeding me cornbread, I just can’t stick around long. Got an airplane, baby, now we’re gonna get a submarine. An airplane, now we’re gonna get a submarine. Gonna get that Kaiser and we’ll be seldom seen. Mmmm, hitch me to your buggy, mama; drive me like a mule. Hitch me to your buggy; drive me like a mule. Reason I’m going home with you, sugar, I ain’t much hard to be fooled. 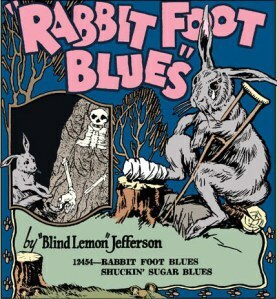 There’s no mention of a rabbit foot (a well-known talisman against bad luck) in “Rabbit Foot Blues” and except for the common Blues verse “Blues jumped the rabbit”, of no rabbit either. The text is full of double-entendre lines, some of sexual nature, that can be hard to understand out of context. The guitar is tuned in Spanish tuning (open G tuning) and feature, like always with Jefferson, some beautiful licks up and down the neck. As I couldn’t find other interesting versions of “Rabbit Foot Blues”, I’ve compiled instead all the tunes recorded in his first years with Paramount in 1925 and 1926. Enjoy! 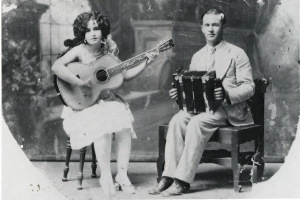 Recorded in New York on August 27, 1928, “Le vieux soulard et sa femme” is another side by the great cajun accordion player Joseph Falcon and his talented wife Cleoma Breaux on guitar. Their “Acadian One-Step” appeared on the “social” set of the Anthology and is reviewed on a previous post (with 26 tracks by the duo included). Many versions omit the ghost reference at the end and the lyrics vary from performer to performer. Sometimes the husband answers are very short, just one word, which add some comic to the dialogue. In the cajun version, the husband is a drunkard who went to the “café”. Toi qui vieux fair ma mort? Qu’il est l’meilleur buveur du pays? Quoi to veux j’fais cuire? Ca, ca va te tuer. Toi qui vieux fair ma mort. Qu’il est l’meilleur buveur du pays. Oh, c’est pas qu’j’veux mourir quand meme. Et you qu’tu veux qu’j’enterre? You, who’ll be the death of me? The biggest drunk in the countryside? I’m going to the cafe! Oh, tomorrow or another day! What do you want me to cook for you? You, who’ll be the death of me! The biggest drunk in the countryside! Well, maybe I want to die anyway! Then where do you want me to bury you? a little before or it’ll be hot! This song is a good follower to “Single Girl, married Girl” and the two Stoneman family duets and the uplifting Cajun rythm makes it one of the more joyful track on the Anthology. 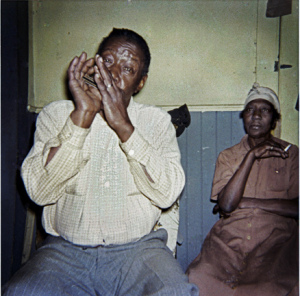 I selected 18 versions of “My Good Old Man”, some from commercial recordings (mostly from the folk revival but also some contemporary ones), some from field recordings like The Max Hunter Folk song collection and many cajun versions (usually under the title “Mon bon vieux mari”) are included as well. Enjoy! 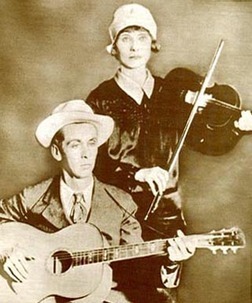 The Carter Family recorded twice “Single Girl, Married Girl”, the first time at their very first recording session in 1927, in Bristol Tennessee, and the second time a few years later, in 1936, in New York City. It’s striking to hear the differences between the two versions. In 1927, Sara Carter, at age 29, still sings with the high voice of the mountain girl while Maybelle sets a fast tempo on her guitar, who almost sounds like a banjo played in the clawhammer style, playing the syncopated melody on the bass strings. Sara’s been married to A.P. Carter for 12 years now, is a mother (of the young Janette) and she knows what she’s singing about but the song, while warning of the different lives of the single and the married girl, keep some of its mocking humor, like a little children’s ditty. By 1936, as Sara and A.P. Carter’s wedding is dissolving, the tempo has slowed down, Sara’s voice has evolved in a deeper and lower tone, and you can really feel the tiredness and the bitterness in her new rendition. 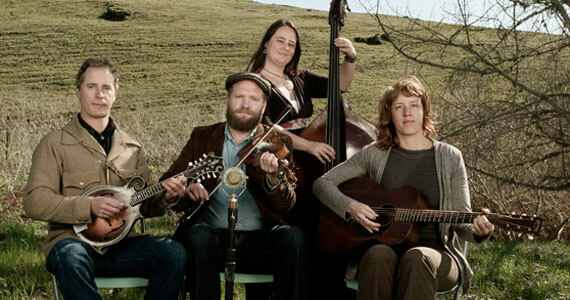 For more info and music of the Carter Family, see my other posts about “John Hardy”, “Engine 143″ and “Little Moses”. I’ve selected some of my favorite renditions of “Single, Girl, Married Girl” with also a few versions of the similar song “I Wish I Was A Single Girl Again” coupled with other songs, some from the man’s point of view on unhappy marriage and the bachelor’s life. Click on Harry Smith to enjoy the music! 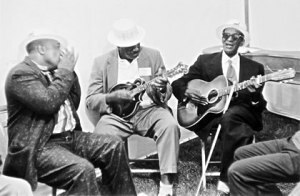 On the 19 and 20th of October, 1927, in Atlanta, Georgia, The Memphis Jug Band recorded six sides for the Victor company, including “Bob Lee Junior Blues”. 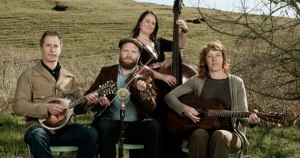 Around Will Shade, leader of the band, on guitar and vocal, were Ben Ramey on Kazoo and Vocal, Will Weldon on guitar and vocal, Vol Stevens on banjo/mandolin and guitar, Jennie Clayton (Shade’s wife) on vocals and Charlie Pork on jug. 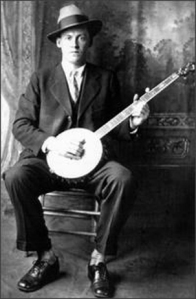 “Kansas City Blues” was first recorded by Jim Jackson (see “Old Dog Blue”) nine days earlier and was his big hit song and one of the most popular Blues song to come out of the 1920′s. The chorus of “I’ll See You In The Spring, When The Birds Begin To Sing” is also know as “Fare Thee Honey” or “Fare Thee Well Blues”, a well-know Blues song as well. 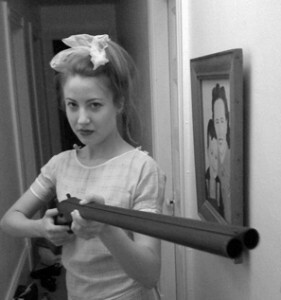 On “Bob Lee Junior Blues”, Jennie Clayton takes the lead vocals and sing this woman’s Blues love lament with her shrilling voice while the banjo/mandolin, kazoo and guitar play the typical 12-bar Blues/Jug band accompaniement. I can’t sleep for dreamin’. I can’t stay awake for tryin’. Can’t stay awake for tryin’. He’s trouble all the time. Like Bob Lee Junior does. That take my man away. Gonna bring him back someday. 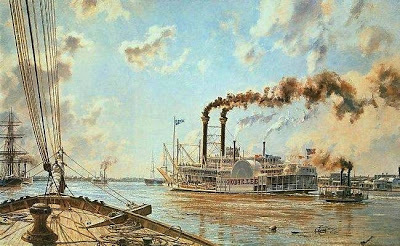 The Bob Lee Junior referred in this song is in fact a famous river boat that used to plied the Mississippi river out of Memphis and had a loud and strong whistle. The band concludes the song by an instrumental rendition of the Blues/Jazz standard “Careless Love”. 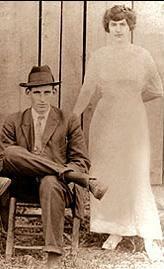 This true classic song of american popular and folk music have uncertain origins. 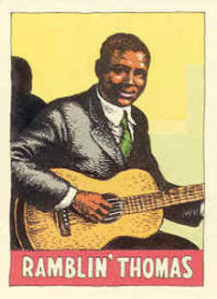 the tune is basically “the sprig of thymes” and some verses are similar to old english folk songs like “died for love”.In the us, it was popularized in the early 20th century mostly by new orleans jazz bands and blues singers but was also on the repertoire of many folk singers during the folk revival. Since I couldn’t find any other versions of “Bob Lee Junior Blues” I compiled 20 variations of “Careless Love” for your listening pleasure. 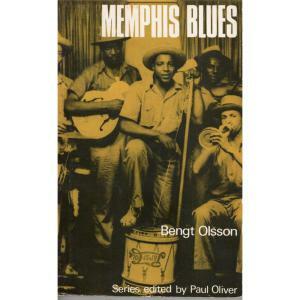 -In the 1970′s, Bengt Olsson issued this great book about the Memphis Blues (and Jug bands). It’s now out-of-print but worth looking for a used copy. 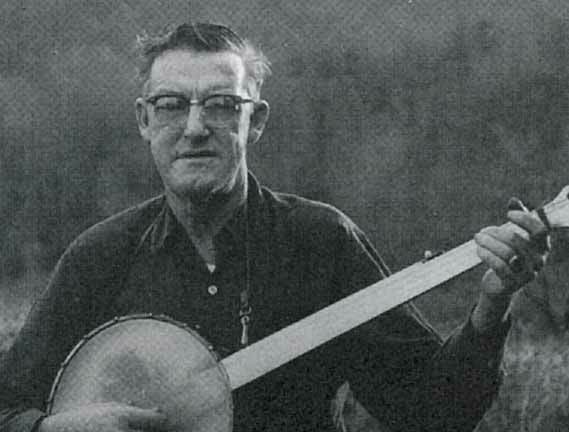 It’s only justice that Harry Smith included two tracks by Ernest Stoneman on his Anthology of American Folk Music as he was certainly an important but somehow forgotten figure of the early days of country and old-timey music on records. He and his vast family recorded in various combinations more than 300 sides between 1925 and 1934, a vast repertory of old and new country songs, topical ballads, sentimental and religious numbers and old-time dance music. 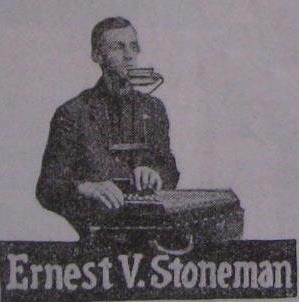 Ernest Stoneman’s first recording was also his first (and only) hit, a version of the topical ballad about the sinking of the Titanic, sung with Autoharp and with a harmonica held on a rack, a novelty accompaniment for the time. In the summer of 1927, “Pop” Stoneman acted as a talent scout and helped Ralph Peer conduct the famous Bristol Sessions, where two of the most famous early country acts, Jimmie Rodgers and The Carter Family, were discovered. There, he recorded with his Dixie Mountaineers mostly religious songs. Let’s hear another fine duet by Pop and Hattie Stoneman before we discuss the two songs they sing together on the Anthology. “The Mountaineer’s Courtship” and “The Spanish Merchant’s Daughter” belong to the same family of courting songs, built upon an humorous dialogue between a man and a woman, around the themes of courtship and marriage. This type of songs are numerous in many folk traditions around the world and were widespread in the Southern appalachian mountains. 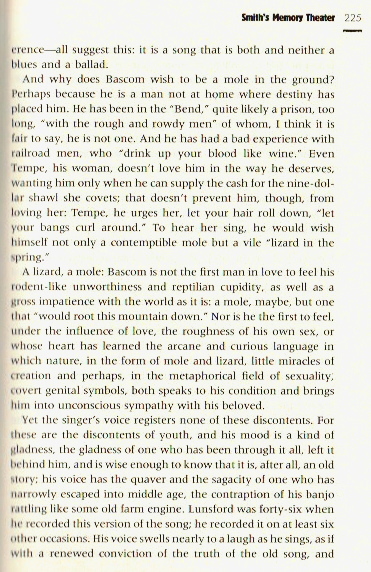 “The Mountaineer’s Courtship”, known also under the titles “My Dear Old Mountain Boy”, “Buffalo Boy” or “Reckless Boy” has its origin in an old British ballad from the 17th century called “Nicol O’Cod” (see here the whole discussion on the Mudcat page). In a true “folk process” manner, the last lines from the Stonemans version are verses from a famous children folk song “The Old Grey Goose”, linked to the previous song by the name “Sally”. Oh, when are you coming to see me? To see me, to see me? My dear old reckless boy? I expect I’ll come next Sunday. Oh, how long you think you’ll court me? You’ll court me, you’ll court me? I expect I’ll court you all night. Oh, when do you think we’ll marry? I expect we’ll marry in a week. In a week, in a week. Oh, what’re you gonna ride to the wedding in? To the wedding in, to the wedding in? I expect I’ll bring my log sled. My log sled, my log sled. Oh, why not bring your buggy? My ox won’t work to the buggy. To the buggy, to the buggy. ‘Cause I’ve never seen him try. Oh, who’re you gonna bring to the wedding? To the wedding, to the wedding? I expect I’ll bring my children. Well, I didn’t know you had any children. My dear old reckless boy. Oh, yes I have six children. Joe, Jim, John, Sally and the baby. To make her feather bed. I found a few other versions of this song, mostly from the days of the folk revival, when Courting songs became popular again among young folk singers. It’s followed by a version of the “Old Grey Goose” by The Carolina Tar Heels. One can trace the origins of “The Spanish Merchant’s Daughter” also to England (and the melody to Spain?) with ballads like “The Tarry Trousers” or “Oh No John” which have similar themes. The song was attributed to a composer named A.M Wakefield but it probably derived from an old broadside based on the older british folk ballads mentioned above. Made me promise to say “no sir” to all you say to me. No sir, no sir, no sir, no sir. And they say you have no mother, would you then say no to me? Then you see I have a brother who would take good care of me. If we were walking in the garden, plucking roses wet with dew. Would you be in any way offended if I walked and talked with you? I know the world is very cruel, if you have no one to care. But I always will say no sir until from father I do hear. Would you tell me I must leave you and refuse to be my bride? No sir, no sir, no sir, no no! Let’s listen to some variations, which includes two versions of the old british ballad “Tarry Trousers” (one by English folk singer Frankie Armstrong, the other by the great american musician Jody Stecher), a version of “Oh No John” by baritone-concert singer Paul Robeson and Jean Ritchie and Cathy Taylor singing their version of “The Spanish Merchant’s Daughter” (or more simply “No Sir” as they call it). Part of reson for setting up Retro Recording was to help keep our musical past alive inspired by the US Llibary of Congress National Recording Preservation Board recordings. We decided to create a forum for people to comment on our musical past. Another classic Anthology song, in probably its best interpretation. 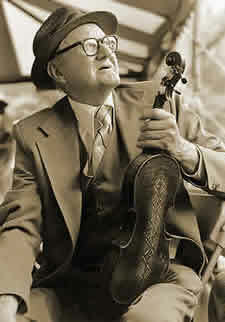 Bascom Lamar Lunsford recorded the song many times during his career and it was a widespread tune in the south, sharing its simple melody with many other songs (New River Train, More pretty girls than one, Lay down my old guitar…) It was sung by many during the folk revival and is still popular today. 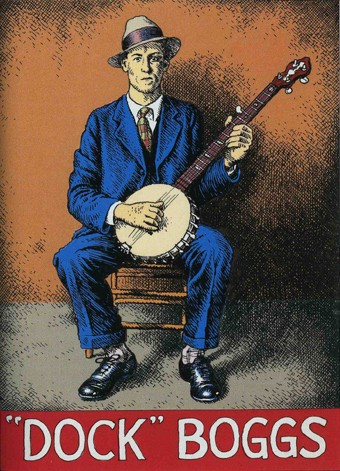 Many sing it with the 5-string banjo played in the clawhammer style (Lunsford picked it in a index -lead picking style) and the pace varies from one version to another. Yes, I wish I was a mole in the ground. Yes, Kimpy wants a nine-dollar shawl. I been in the Bend so long. Yes, I been in the Bend so long. I been in the Bend with the rough and rowdy men. I don’t like a railroad man. No, I don’t like a railroad man. Oh, I wish I was a lizard in the spring. Yes, I wish I was a lizard in the spring. An’ I wish I was a lizard in the spring. Kimpy let your hair roll down. Let your hair roll down and your bangs curl around. 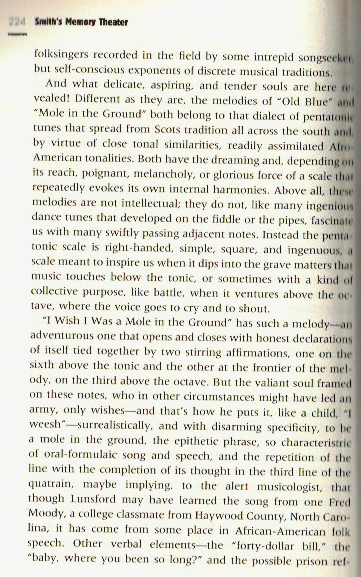 An’I wish I was a mole in the ground. I’ve compiled 22 versions of Mole In The Ground (or Tempie as many called the song ) reflecting my own personal favorites among the many versions you can find out there. A few artists from the Anthology were truly rescued from oblivion by the american folk revival of the 1960’s and experienced an unexpected new musical career as they were entering their last decade. 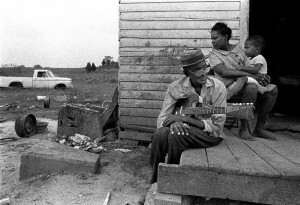 Men like Mississippi John Hurt, Furry Lewis, Clarence Ashley and Dock Boggs, thanks to the Anthology and a new generation of folk music lovers who searched out for them, had a second chance to play their down-home music in front of an appreciating audience (although a quite different one than 40 years before) and record again. 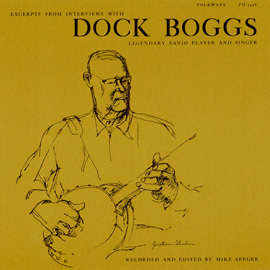 In the case of Boggs, his rediscovery was single-handedly orchestrated by Mike Seeger, who found his home in Norton, Virginia, recorded his music on four lps’s for Folkways Records and put him on the stages of various universities and folk festivals. 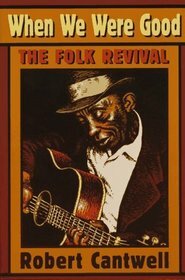 From all these rediscovered performers, Mississippi John Hurt and Dock Boggs really stand out as the most important folk figures the Anthology helped to revive and the lives of this two men shared in fact, many similarities. 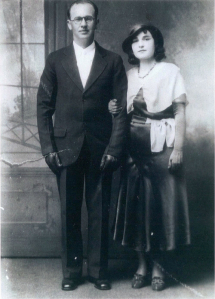 They both spent most of their lives close to their home and worked hard jobs (coal mining for Boggs, farming for Hurt) in a relatively isolated community (Avalon, Mississippi and Norton, Virginia), made a trip to New York City in the 1920’s to record for a commercial recording company before returning to their daily routine. 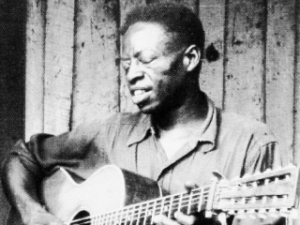 In the case of Boggs, this unique chance to record made him believe he could escape working in the coal mines and he did tried for a few years to make his living as a musician but the Depression and family life stopped him to achieve this. Both men were contacted by W. E Meyers, a store-owner and aspiring songwriter from Richlands, Virginia to record for his Lonesome Ace record label in the 1930’s. Meyers would provide the lyrics and asked the musicians to put them into music. They were also very influenced by the « other » ethnic group music around them, old-time country music for Hurt and african-american Blues for Boggs. 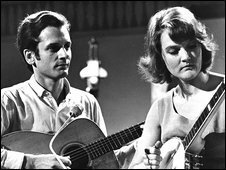 They both had two of their songs chosen by Harry Smith for his Anthology of AMerican Folk Music and enjoyed a second career in the 1960’s, both on records and on many folk festivals. 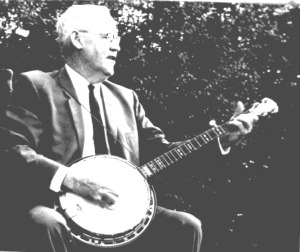 Dock’s repertoire was a mix of old and new folk ballads and songs typical of the Kentucky/Virginia region with some Blues numbers he adapted to the 5-String banjo, playing the instrument in his own unique way, which combines thumb and finger picking techniques with some strums with the back of the finger. 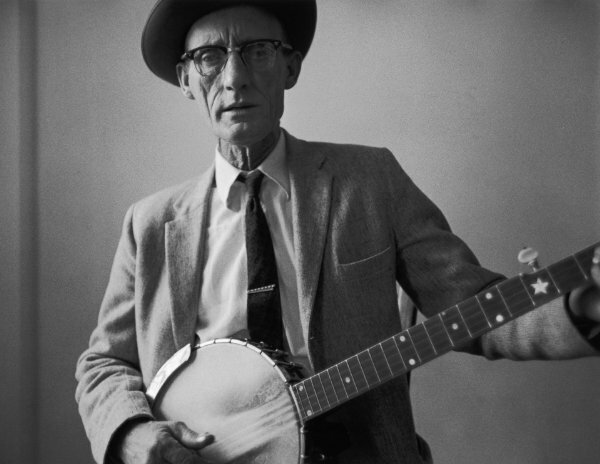 He usually picked the melody while he sings and used some different banjo tunings to fit the modes of the tunes and songs he played. 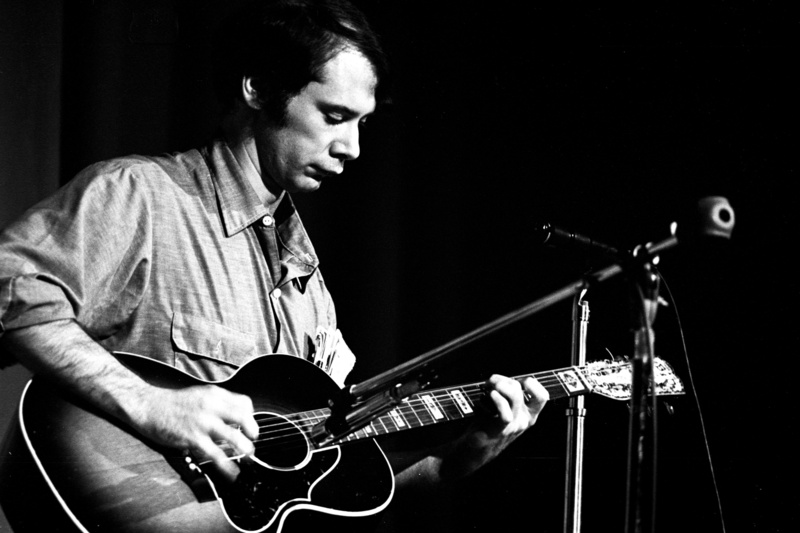 (We will discuss his special D tuning on a future post about his song “Country Blues “). His vocals had a lot of characters also, his raw delivering on the 1920’s recordings would mellow a bit with age but didn’t loose its intensity and honesty. I especially recommend reading O’Connell’s long in-depth writing as it reveals a lot of the context and complexity of Dock’s life. Wonderful artwork and package from the John Fahey label, it includes all of Dock Boggs early recordings, including alternate takes. There are also two cds on the Field Recorder’s Collective label: A 1966 concert and some home recordings made by banjo player Reed Martin in 1967. -Here’s a clip featuring Mike Seeger playing Dock’s Mastertone banjo and playing « Davenport ». it includes at the end some footages of Dock playing at his home. 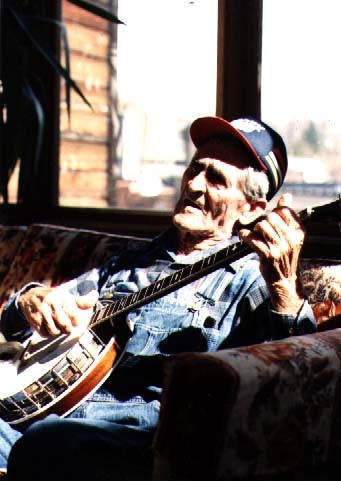 Sugar Baby or Red Rocking Chair is a widespread folk song, found in the repertoire of a lot banjo players in the South, and still very popular today with old-time and folk musicians. Its simple modal melody can be played on several open-tunings on the 5-string banjo and harmonized in different ways either using major or minor chords (or a combination of both) on a guitar. Its lyrics are easy to remember and can include as many floating verses as a performer can recall. One of its famous verse “Who’ll rock the cradle when I’m gone” is found in an old Scottish ballad ” The Lass of Roch Royal”. Oh, I’ve got no sugar baby now. And I can’t get along this a-way. Can’t get along this a-way. All I can do, I’ve said all I can say. I’ll send it to your mama next payday. Send you to your mama next payday. I’ve got no honey baby now. Got no sugar baby now. Who’ll rock the cradle, who’ll sing the song? I’ll rock the cradle, I’ll sing the song. I’ll rock the cradle when you gone. It’s all I can do, said all I can say. I will send you to your mama next payday. Laid her in the shade, give her every dime I made. What more could a poor boy do? Oh, I’ve got no honey baby now. And I can’t make a living with you. Can’t make a living with you. Here are 27 versions of the song that I’ve compiled for you, and you’ll hear a lot of different banjo variations, some Bluegrass numbers and some very nice and unique ways of singing and playing this quintessential american folk song. Enjoy!